The World Wide Fund for Nature, like Greenpeace, are also a very popular campaign organization. 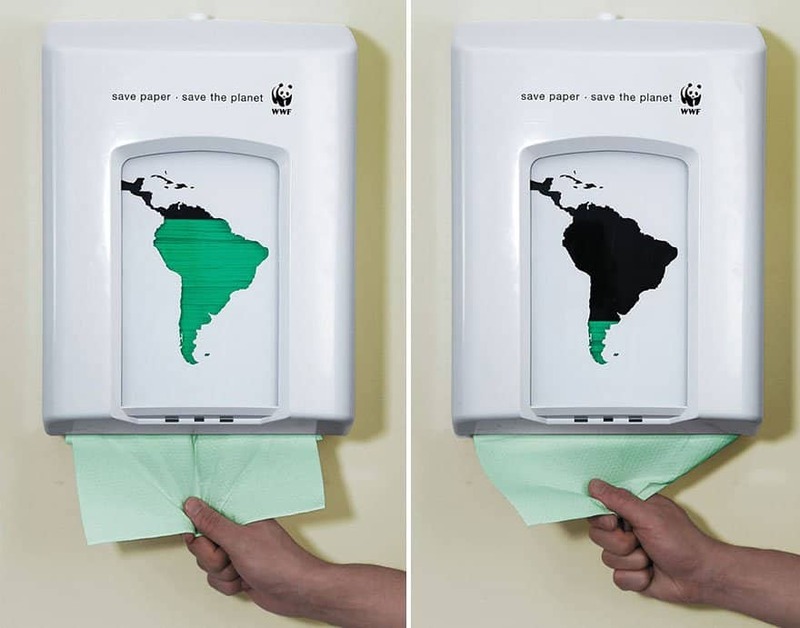 The organization has produced this very creative advertisement by placing a paper towel dispenser with the title ‘Save Paper, Save The Planet’ labeled above, green foil in the place of paper towels and a silhouette of South America on it, by doing this they have proved that the survival of forests are effected by the amount of paper we all use. 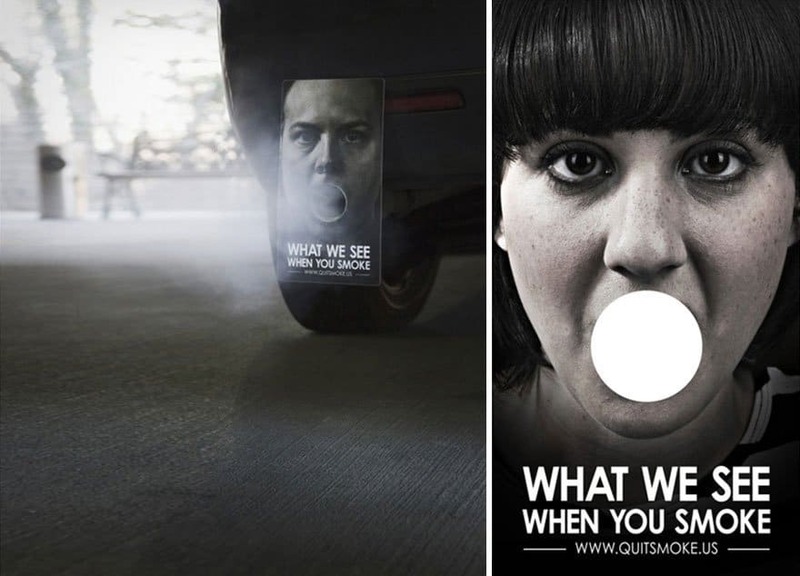 In order to display to smokers how non-smokers see them, Quit Smoke (a program that helps smokers quit) have placed signs on car mufflers, titled ‘What We See When You Smoke‘. These signs show a person with a hole placed where their mouth is, the sign is then placed so that the hole is placed as if the muffler of the car is their mouth, and the person on the sign is exhaling after smoking. Reporters Without Boarders is an organization that promotes and defends freedom of information, has purposely blurred out sections of images of celebrities, for an anti-censorship campaign, to make it look as though one of the celebrities is doing something inappropriate to another. They have done this to prove that censorship is wrong and that it tells the wrong story. In order to stop animal cruelty, the Animal Anti-Cruelty League have produced advertisements with Dalmatian dogs curled, looking as if the dog is actually a football on the field. 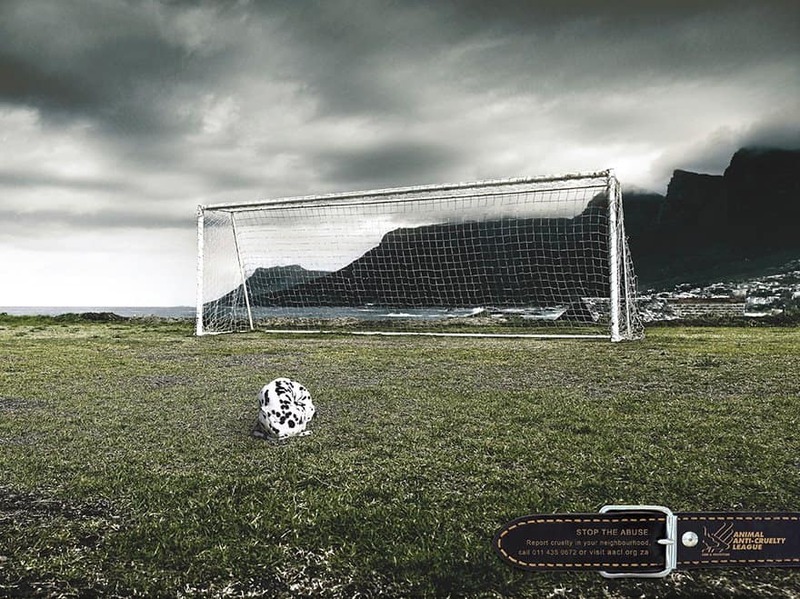 The advertisements are titled ‘That’s Not A Football‘, the league has done this to make us all look twice and think before we hurt an animal. Making the world aware of endangered species dying out, Bund, a German organization, has released advertisements titled ‘Every 60 Seconds A Species Dies Out‘. 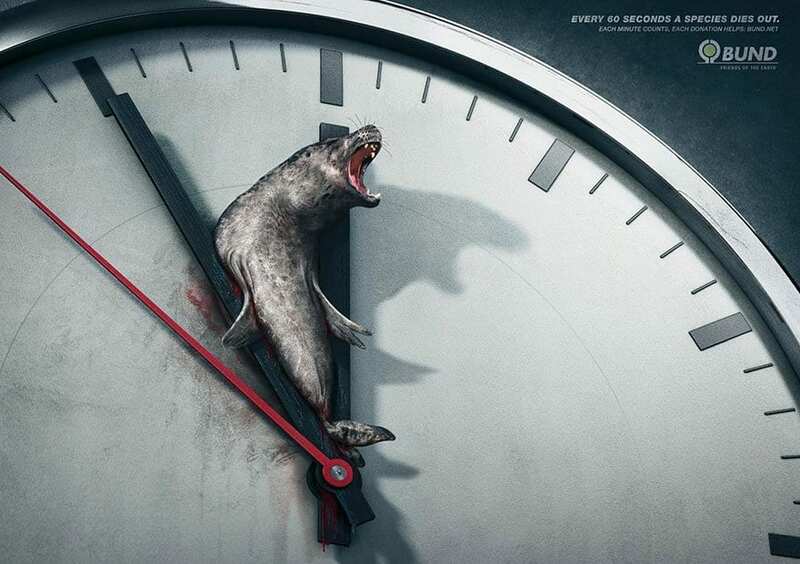 In order to make these adverts creative and original, the company made it look as though they have placed the last animal of an endangered species in between the two hands of a clock, with the big-hand just striking the next minute, killing the species. 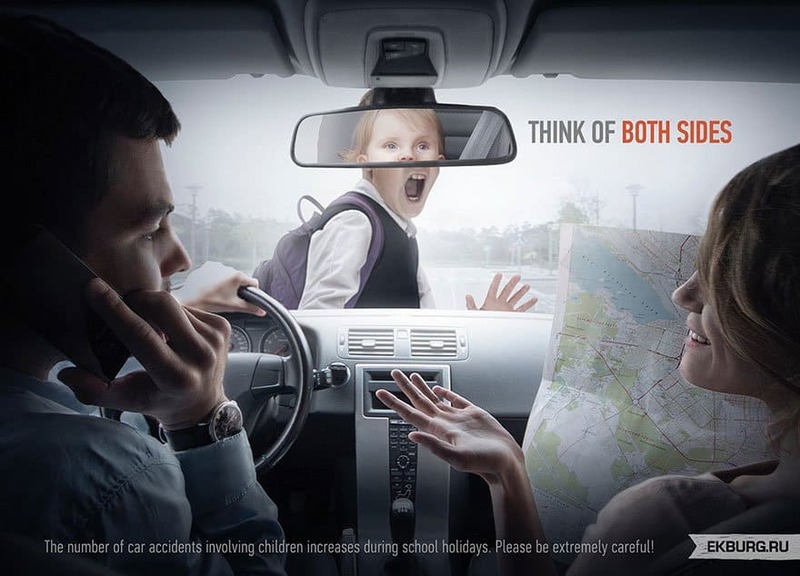 The Ekaterinburg City Administration, Russia stated ‘the number of car accidents involving children increases during school holidays‘, they have asked the public to be careful and in order to make them more aware of the increasing number of car accidents, the city administration held a campaign, titled Think of Both Sides. Naming the campaign this, allowed the public to look at it from the children’s families point of view, and think about what would happen if their child had accidentally been hit by someone that had been on their phone whilst driving. 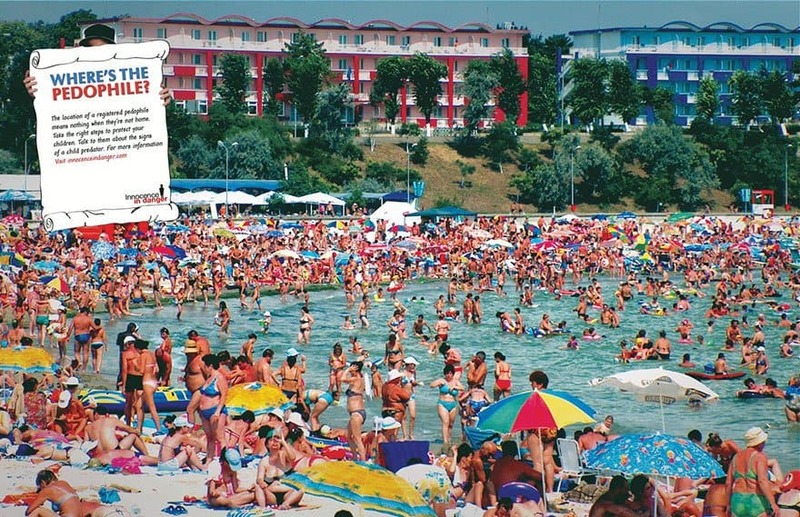 A childhood game, with the purpose of trying to find a person in plain sight, titled ‘Where’s Waldo‘, has been used to show what pedophilia is like, and how hard it is to identify pedophiles. 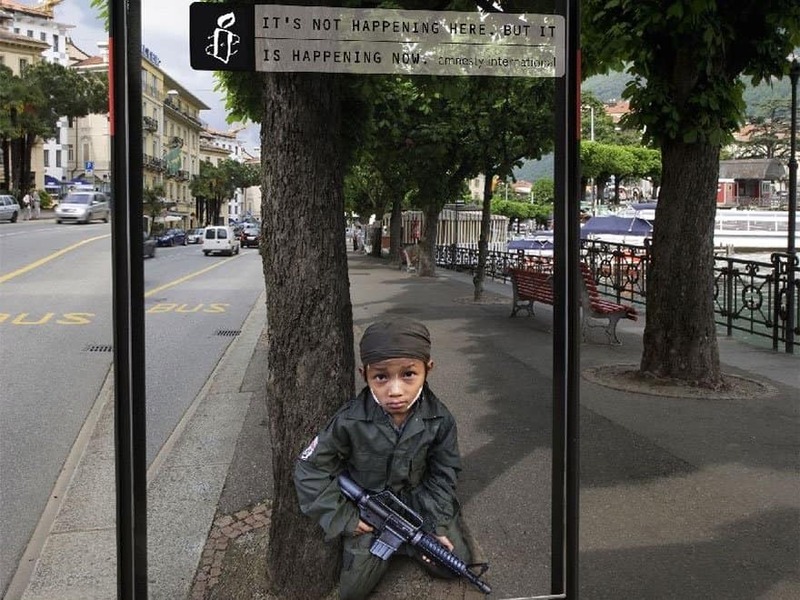 Innocence In Danger, a Worldwide Movement for Protection of Children have made this advertisement in order to raise awareness to every audience member it reaches, of the danger of pedophilia. 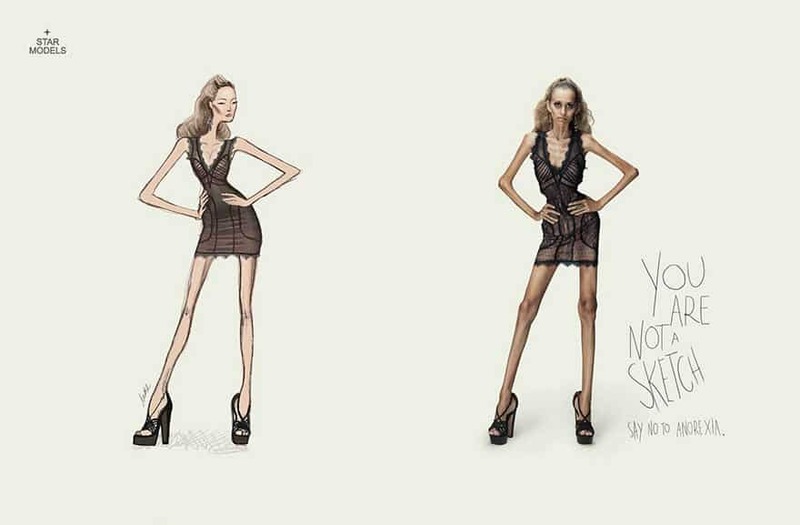 A modeling agency based in Brazil, have produced a very creative advert stating ‘You are not a sketch, say no to anorexia‘. Star Models have composed these adverts by using Photoshop to modify their models, creating life-size fashion illustrations, showing how serious the psychological illness actually is. However, a lot of people have become worried, as they have thought that it may have encouraged young girls to become more like these models. Keeping children safe and making the public aware of sexual predators has been very important for hundreds of years. Parents have told their children to be weary of predators and sometimes succeed, however now that the world has Smartphones and social networking, we fear that sexual predators could be on the other side of the conversation, talking to your children. Innocence In Danger, have shown their concern and have tried to bring awareness this fear to by showing a phone in the shape of a hand inside the back pocket of a girl’s pants. The title for these adverts are ‘Sexual Predators Can Hide in Your Child’s Smartphone‘. 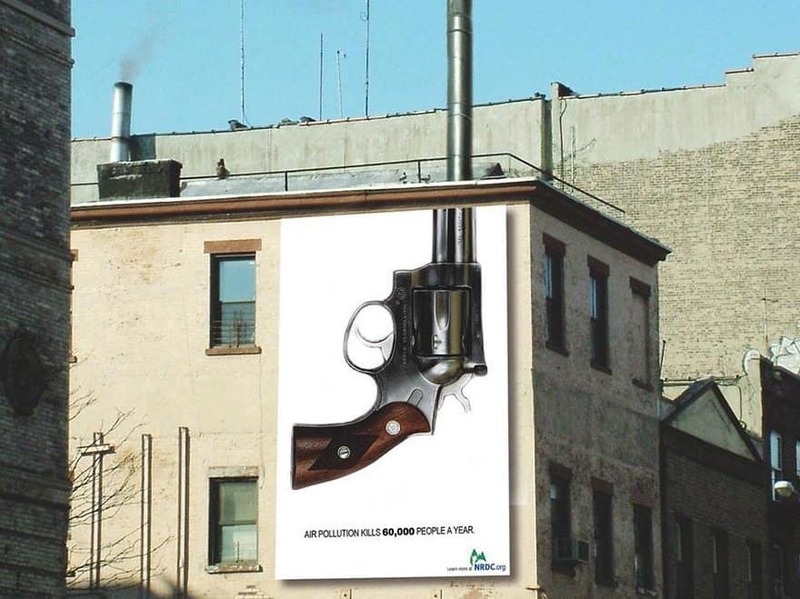 There have been many anti-smoking campaigns, usually the campaigns are serious. 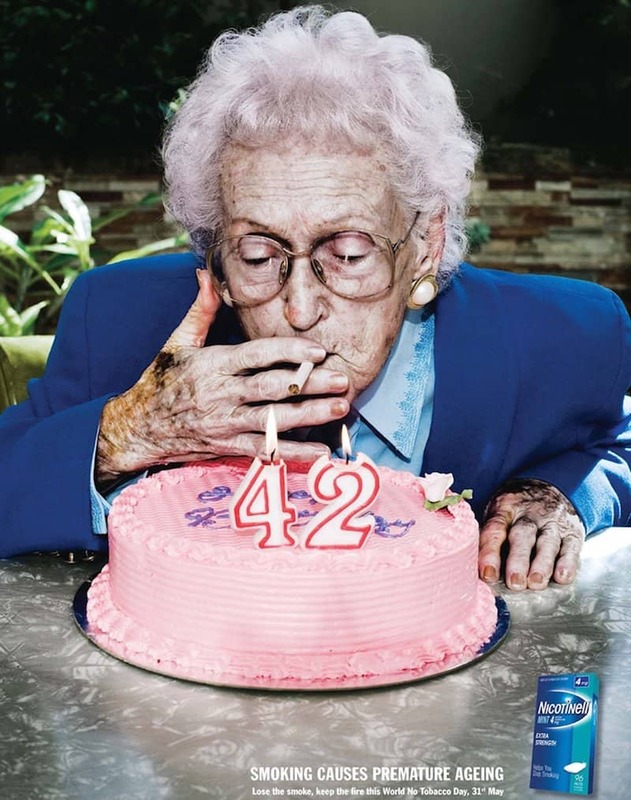 However Nicotinell, a medicinal product that helps smokers quit, released advertisements stating that ‘Smoking Causes Premature Aging‘ and invoking fear within some smokers, in a more humorous way than other anti-smoking campaigns do. The Emirates Environmental Group has tried to make the world more conscious of marine pollution, as it is one of the leading problems in pollution. 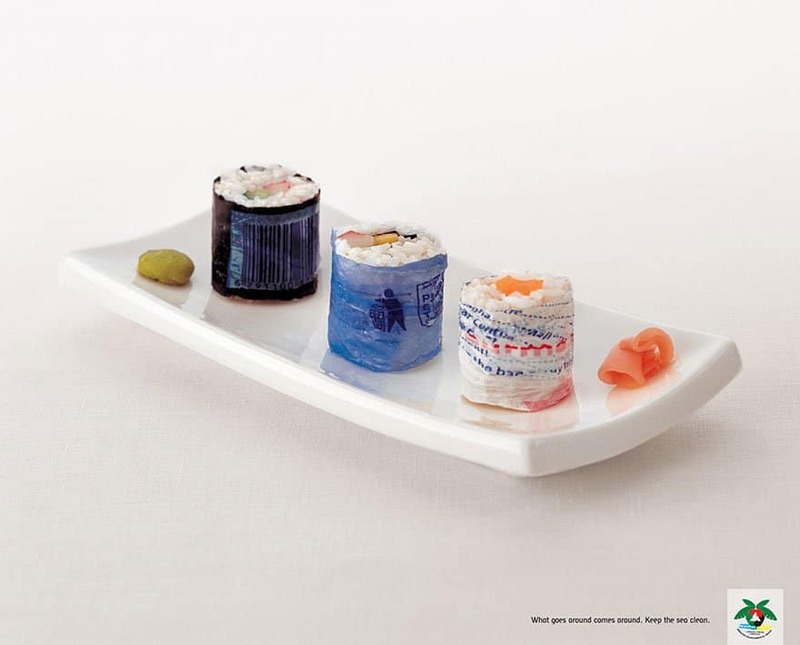 The agency has tried this by launching a campaign titled ‘What Goes Around Comes Around, Keep The Sea Clean‘, the adverts in this campaign depict famous seafood dishes, in the advert shown the group has served sushi, although not wrapped in the classic Nori seaweed but in plastic bags, by doing this it makes us all aware of what is actually happening with marine pollution. 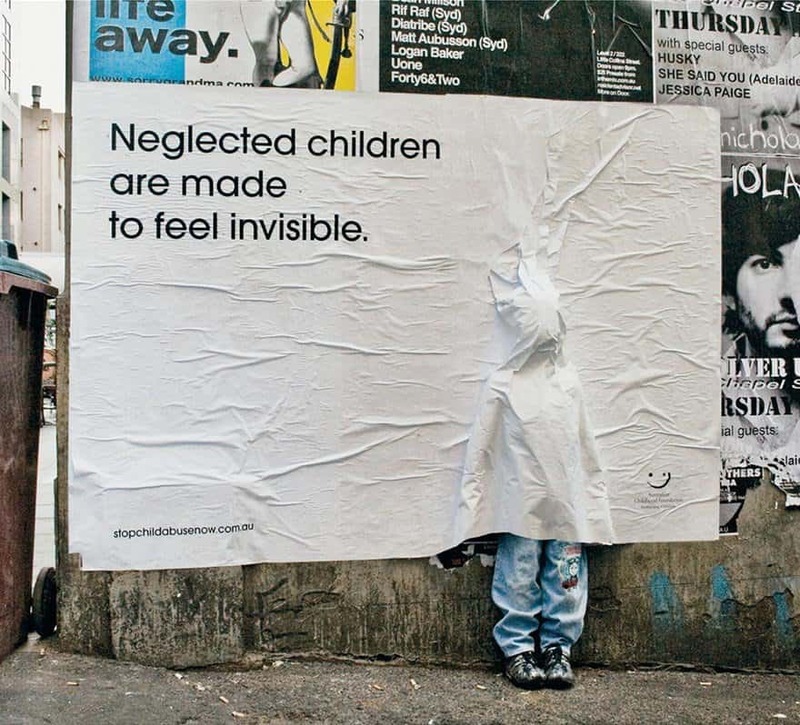 Using a child size mannequin and pasting a billboard poster over it, the Australian Childhood Foundation has started a campaign for neglected children stating that ‘Neglected Children Are Made To Feel Invisible‘. 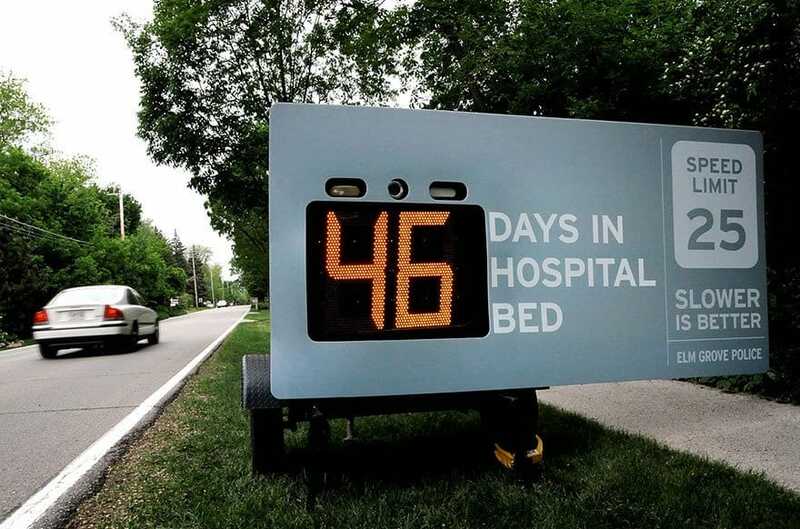 The foundation has done this to show what being neglected is like, the adverts were placed in busy traffic areas, so that society would become more informed of this. A lot of the public saw these adverts and removed the mannequin, thinking it was a real child, they then saw a message when removing it saying ‘Thank you for seeing me‘. 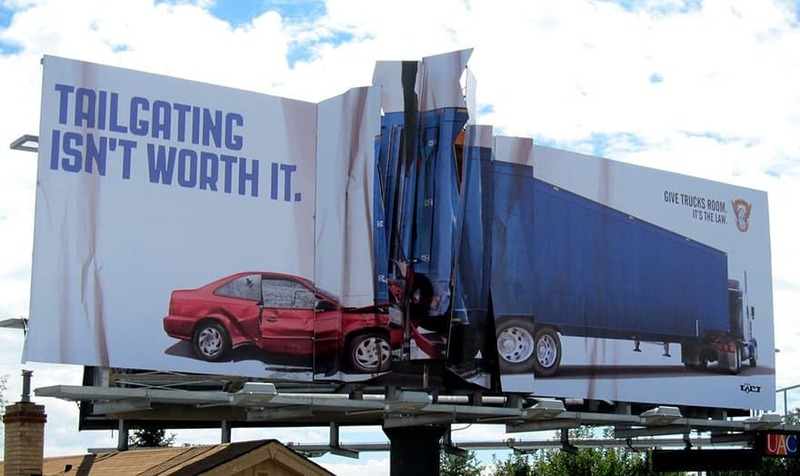 Colorado State Patrol: Billboard Collision, Tailgating Isn’t Worth It. Give Trucks Room. It’s The Law. 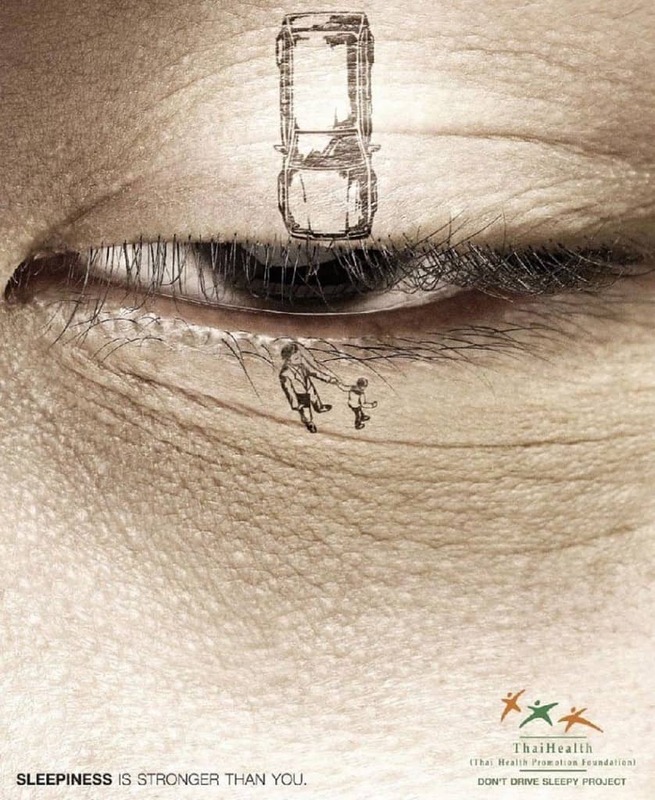 ThaiHealth Promotion Foundation: Sleepiness Is Stronger Than You. With an amazing tattoo visual, ThaiHealth Promotion Foundation has shown how quick an accident can occur if you are drowsy whilst driving. Many drivers know that being drowsy and driving is never a good thing to do, as it usually has very fatal consequences. The ThaiHealth Promotion Foundation, has tried to turn this around and show everyone that there can be large consequences by starting a campaign titled ‘Sleepiness Is Stronger Than You‘. China Environmental Protection Foundation: Cancer, Which Is Thrown In Your Body On Your Own. A lot of smoking areas are set public, meaning that anyone can smoke there, the China Environmental Protection Foundation became aware of this and decided to show smokers what they were doing to their own lungs, by placing a flat board, with the image of X-rayed lungs on an astray. The astray had been placed inside the lung and whenever the astray came in contact with cigarettes, it would deliver a message, stating “Cigarettes, are not only being put here, but also in your own lungs – Cancer, which is thrown in your body on your own“. Animal abuse is a massive issue everywhere in the world, however with the right love and affection, all animals can be revived with a better owner, including these that have been so abused that make it seem and look as if they are beyond repair. 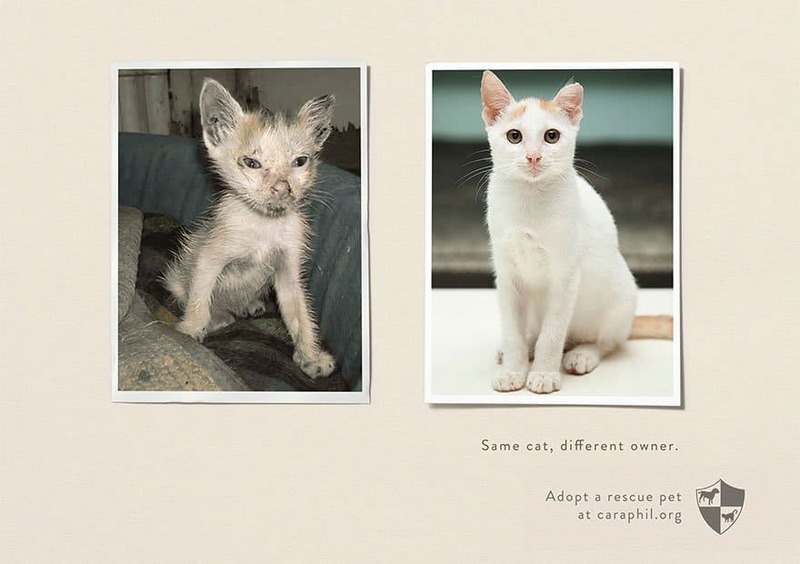 This is shown by Compassion And Responsibility for Animals Welfare with just a few words and two images, the first showing a before picture of a cat with barely any hair and looking as if it is beyond reviving. And an after picture, showing that with the right love, affection and a new owner, any animal can be revived.